I’ve got another VSN eArticle updated for you. 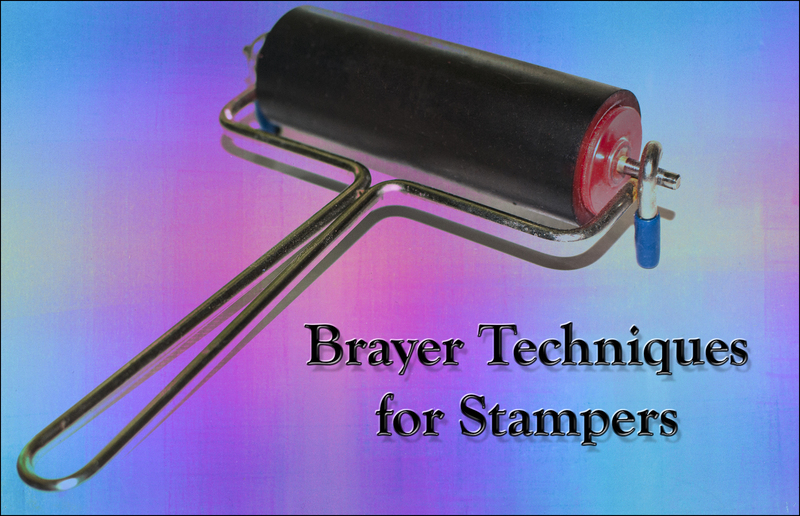 This time I picked Brayer Techniques for Stampers. Brayers are deceptively simple tools. There is just SO MUCH that can be done with a brayer. For example, you can use ink, paint, glue or water, all with a brayer or even use it dry. I’ll bet this eArticle has a few techniques you hadn’t thought of trying. Be sure to check it out! I went through the whole eArticle and found some links that had moved or disappeared. I fixed all of those, tracking down the new locations, deleting a few and adding a couple new ones, plus added a few product links that you might find helpful. One link to a video had disappeared but I found an alternative video on the topic. I also tweaked the text here and there and updated the VSN info at the end. The updated eArticle is now posted on VSN’s eArticle page. If you access this eArticle by going to the site each time to read it online, then you’ll find the updated eArticle there to read the next time you visit. (If you read it inside your browser window and have looked at it recently, you may need to refresh the page to see the updated version.) If you have saved this eArticle to your own computer to read offline, be sure to go to the eArticle page today and re-download it so you’ll have access to all the eArticle’s resources the next time you read it. This is another eArticle update that has so many fixes that you really should be sure to get the updated copy!